LittleBird Mum, Clare took a trip with her teenage daughter and daughter’s friend up to South Yorkshire recently for a 2-night Kingswood Family Adventure. 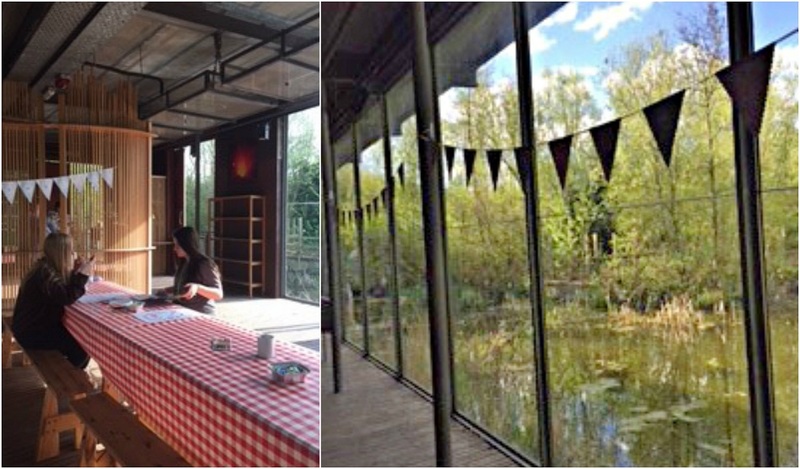 ‘We arrived at Dearne Valley, a converted eco-centre set in the wilds of Yorkshire, on probably the hottest day of the year so far. With the train station so close to the site (literally the end of the driveway! ), the whole journey took merely 2 hours from home (London) which was great. On arrival we dropped our bags and joined the throng, welcomed with macaroons & cake (always a winner with teens…and myself for that matter!) Moving into the sunny Forrest room over the pond, we received our itinerary packs to find that climbing was to be our first adventure…*small gulp*! Embracing the experience, we determined to give this a good go. Driven by the promise of macaroons at the end, the teens abandoned their mobile phones and to their credit, got totally stuck in! The fresh air left us ravenous but that evening we feasted on roast dinner, complete with apple crumble and custard for dessert. We then headed off on a night walk which was followed by wine & cheese and a mingling opportunity over the dreamy lantern-lit ponds. It’s safe to say we all slept like babies that night! Day 2 saw us channeling our inner Robin Hood with archery and shooting; activities which the two teens found themselves to be rather good at! This was followed by team games where we played laser-chase through the woodlands – shooting strangers who were soon to become friends in the next challenge, which involved building and balancing crate towers. 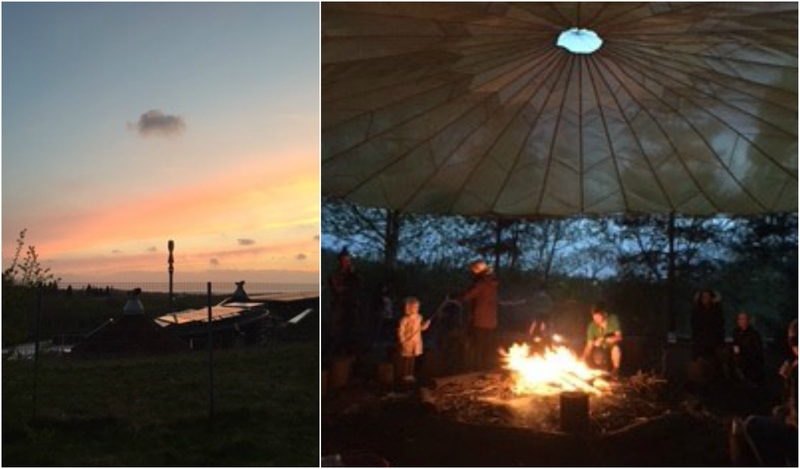 A BBQ and campfire with toasted marshmallows was very welcome at the end of day 2! The two teens and I had a fantastic weekend in the great outdoors, abandoning technology to make the most of the fresh air and beautiful location. Parents with teenagers will know how difficult they can be to please but we all genuinely really enjoyed this weekend and it was something totally different. Highly recommended for family bonding. …Find out more about Kingswood Adventures & savings on LittleBird here.